The Pobeda (Victory), convertible car. The forever watch Pobeda, manufactured since 1946. 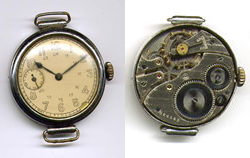 The 1st Moscow Watch Factory (now Poljot) started producing K-26 (« Pobeda ») in 1946. 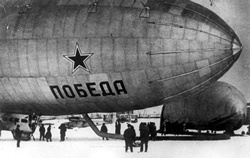 The « Pobeda » movement is based on the well known for us « Lip » R26. For more information about « Lip » you can read an article of Nick Downes. It’s a VERY reliable movement. Many of them work for 40-50 years! Vsevolod Poudovkine together with Eisenstein was a famous Soviet film-maker. He produced his film « Pobeda » in the the 1938 year.